One hundred forty thousand people descend upon the Las Vegas convention center for the largest aftermarket automotive trade show in the world. 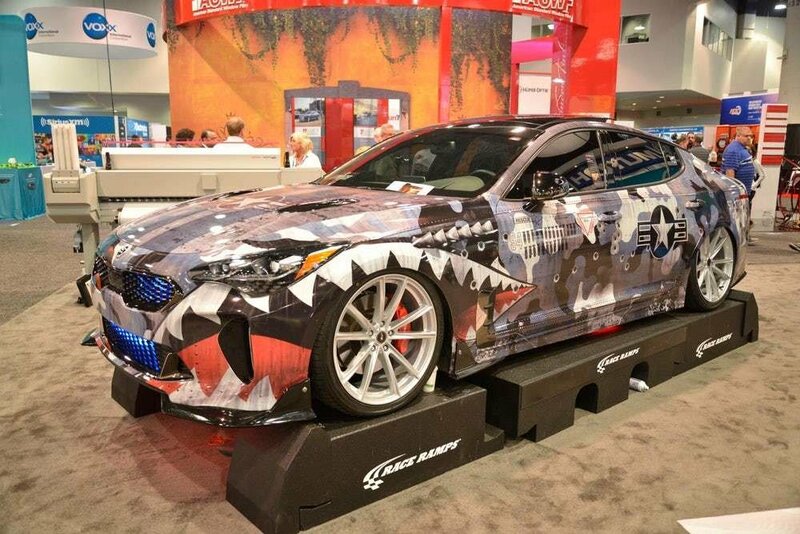 Welcome to SEMA 2018, where many of the top automotive aftermarket manufacturers, builders, and shops come together to learn, shop, and show off the best products and some of the best custom rides in the game. I overheard one SEMA organizer saying that if you were to walk up and down every aisle in every pavilion you would walk almost 54 miles and I believe it! Sadly, most of SEMA is very boring and very repetitive (I mean seriously, how many booths about tires does one show need?) 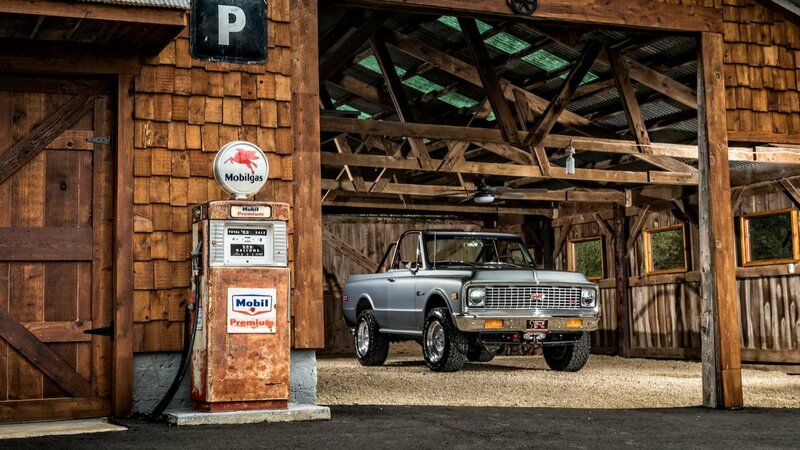 but, there are always those automotive gems to look at and once in a while a new product that just makes you stop and say “wow.” So, here are a few of those cars that made me stop and actually take a look. 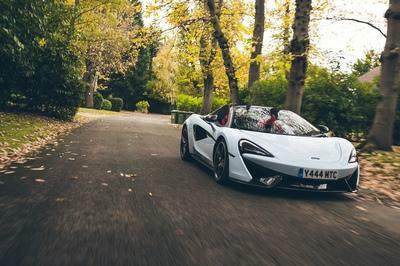 If you’re anything like me, you probably enjoy powerful and sporty cars (especially of the big engine displacement or forced induction type), and you might even be thinking about upping the soundtrack of your drive with an upgraded exhaust. We’ve all heard cars buzz by us with all sorts of exhaust systems (or lack thereof), and sometimes it’s just nothing but unenjoyable noise, like two beehives having a fight inside a coffee can, or grandpa’s flatulence after soft serve ice cream. Most common, cheap, ready-made exhaust systems are—to be frank—crap, and most of the cars you hear those on are crap, too (or are owned by those who have no idea or care what they’re slapping on their cars). Exhaust systems are supposed to be more than some pipe and a round can with a little bit of sound deadening. 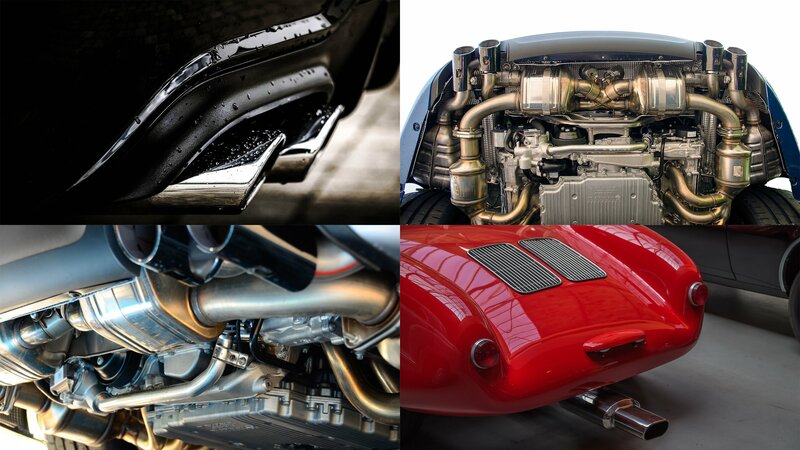 The majority of car manufacturers put significant effort into R&D, desiring a specific sound (or lack thereof) from their exhausts via the use of various mufflers, resonators, equalizers, and flow dynamics. Different materials make different sounds. This is lost on many aftermarket exhaust companies since they’re trying to sell basic crap in mass quantity to the naïve. On the other hand, there are many companies who value style, design and quality materials, and who create quality products for your vehicle. Why would you want an aftermarket exhaust anyway? It goes FAR beyond just a good soundtrack. Car companies have to make exhausts fit their vehicles so sometimes good dynamics are not top of the list. They have to fulfill emissions and noise requirements, among other requirements. Some low-quality products are made of crush bent metals, making them extremely restrictive. When exhaust is restricted, the engine has to work harder to expel used exhaust gases. Using a quality exhaust, perhaps with larger piping and fewer restrictions, you are freeing up that previously restrained power. Also, factory exhaust tends to be heavy, and when you get into the more exotic materials (like 304 stainless and titanium), you see fewer weight savings as well. Again, why would you want an aftermarket exhaust? The answer is simple: more power, better sound, less weight AND better fuel economy. Yes, better fuel economy! 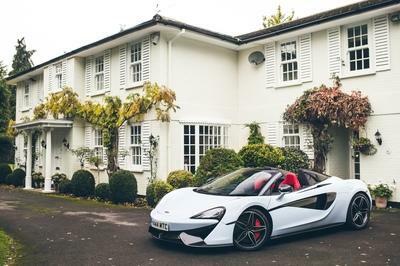 It can, however, be a double-edged sword, because the engine doesn’t have to work as hard to make the same power, so you can be lighter on the long pedal, BUT the sound from the upgraded exhaust is usually so enjoyable that you’ll find yourself accelerating more than usual, so those fuel savings can go right out the window! When picking your exhaust system for your vehicle education is important, so let’s review types of exhaust and materials used in them. Hindsight is such a wonderful thing, isn’t it? Understanding some things weren’t as amazing as we thought they were in their golden days. The same applies to the tuning style of the “Fast & Furious” era or, rather, the early-to-mid 2000s. Got wings? Got flashy colors? Got the loudest audio setup and tons of screens? It was all about that! 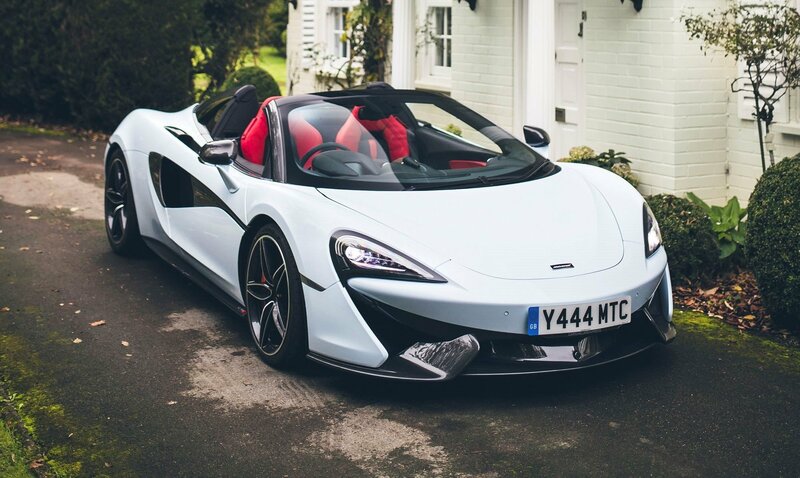 A lot of the tuning in the early days was carried out with competition in mind, motor racing being a great catalyst of innovative ideas that arose from the need to make a car go faster than it was originally intended to. 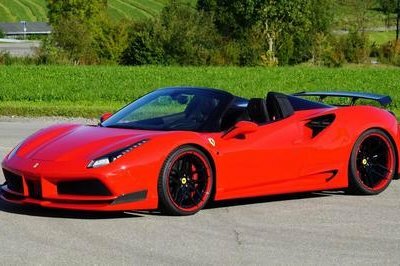 Generations of “garagisti” – as Enzo Ferrari would call the British racing teams – or shop owners made a living out of improving a car’s natural ability around corners or in matters like acceleration or top speed. Coupled with the mechanical part came the visual part. If you are to modify your car, you want people to notice it even before you turn the key in the ignition – mind you, unless sleepers are your thing. That’s why the hot rods featured flame graphics on the sides or outlandish pinstriping following the car’s profile. All that evolved into metallic paint jobs, big chromed wheels and many other elements that made people turn their heads, if not in appreciation at least due to sheer awe. Arguably, the peak of the looks-over-functionality drive was reached somewhere in the early ‘00s with the advent of the “Fast & Furious” franchise. Back then more about cars and illegal street racing than about jumping between skyscrapers, Michael Bay-esque explosions and desert racing, the franchise transformed cars like the Nissan Skyline GT-R (R34) or the Mazda RX-7 (FD) into cult icons that everyone bowed before and adored. And that everyone wanted to mod. Be it visually or mechanically, Japanese machinery became the go-to platform for tuners in the early part of the new millennium. It wasn’t all due to the fad since these cars had very potent underpinnings that could hold vast amounts of horsepower beyond those offered on the showroom floor, but we’re talking here more about the aesthetic department. Large body kits, huge wheels, colorful everything, vinyl liveries – not to be mistaken by the vinyl trim on Malaise-era land yachts – and earth-pounding sound systems. Read on to relish the memories of the tuning scene as it was back when many of us were in their teens. 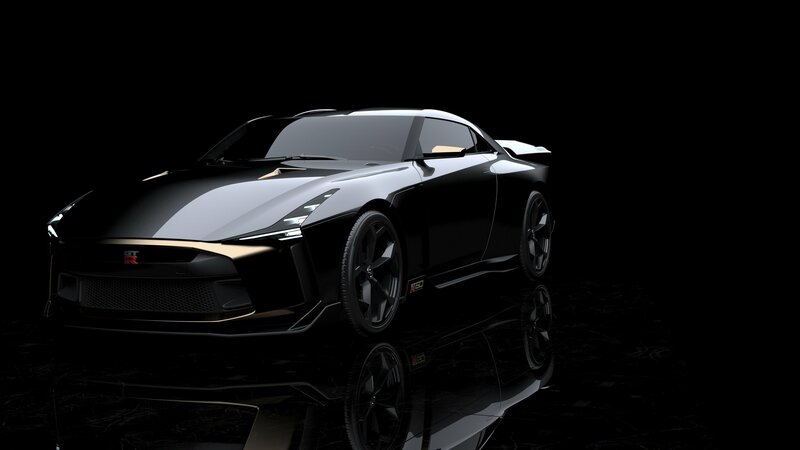 To celebrate 50 years of Italdesign creations and the Nissan GT-R nameplate, the coachbuilder and automaker have teamed up to create a one-off prototype called the GT-R50. Considered to be a GT-R without limits, and based on the 2018 GT-R Nismo, this custom Nissan is scheduled to debut next month with heavy modifications – exactly what you would expect from something created by Italdesign. 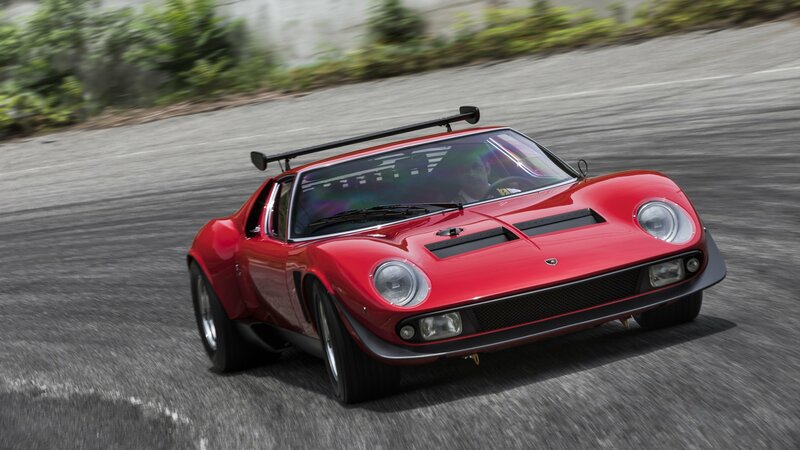 Lamborghini Polo Storico, the arm that handles Lambo’s classic models, has completed the restoration of one of the most famous Miura models ever built, the Miura SVR. Based on the Miura Jota, a prototype that was destroyed before it made into production, the SVR was showcased at Japan’s Nakayama Circuit before it was delivered to its owner. In what can be considered an early Christmas present from Audi, owners of 2017 and 2018 model year Audis will now have access to Amazon’s music services, including Amazon Music Unlimited and Amazon Prime Music. The two services are now embedded into the infotainment systems of these models, as well as in the Audi MMI Connect smartphone app. If you’re wondering whether the specific Audi model you own is included in the list of models that will get the new services, let me help you out. 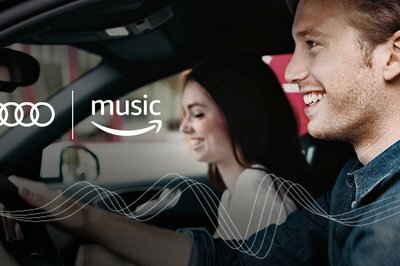 The two Amazon music streaming services are now available on 2017 and 2018 models of the A3, A4, A4 Allroad, Q7, TT, and R8. The 2018 A5 and Q5 models will also be getting the services. If you own a model that isn’t included in this list, that means that your vehicle does not support the services, at least not yet. The two Amazon services work in different ways. It can be accessed right from the car or through Audi’s MMI app. Amazon Prime members also have access to a rich library of on-demand music content. If you’re a Music Unlimited member, you can access the full catalog of the streaming service, including tens of millions of songs to go with thousands of playlists from some of history’s biggest musical artists. There’s also the option of not subscribing to either streaming service, so you’re not forced to spend money on them if you don’t want to. Whatever option you take, the fact that there are “options” available is a huge victory in it of itself. 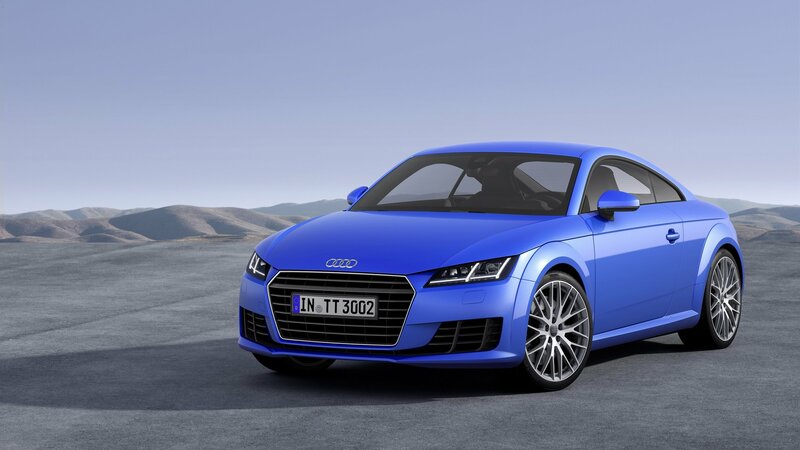 It tells you that Audi is doing its part in providing top-quality services to its customer base. 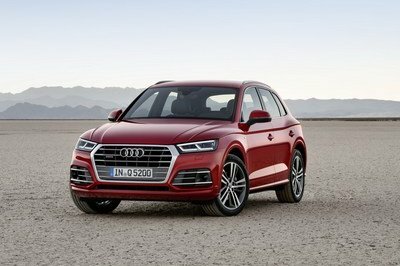 Read our full review on the 2018 Audi Q5. 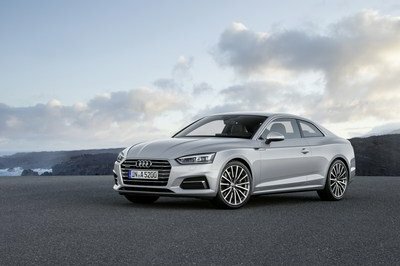 Read our full review on the 2018 Audi A5. As a car enthusiast now in his thirties, I remember the release of the original Fast & Furious movie. It was the summer of 2001, and as a budding young 16-year-old, I was captivated by the wild-looking cars I saw on the screen. Candy-colored paint and graphics, eccentric body kits, nitrous purges, atmospheric waste gates… all of it was totally new to me. And there’s a reason the original F&F became known as “The Movie” in the tuner scene – almost instantly, this obscure culture was thrust into the daylight, and with it came both the good and the bad. 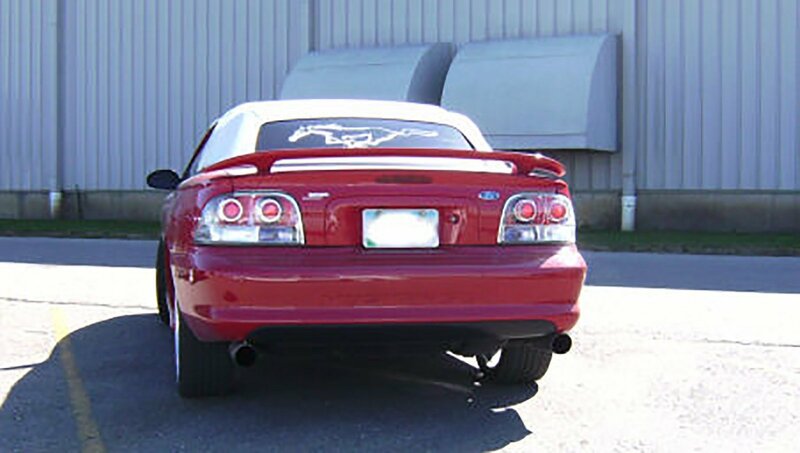 This piece touches on some of the bad, namely aftermarket Altezza taillights. Shortly after the debut of F&F, the aftermarket Altezza taillight became the part du jour for wannabe tuners and performance enthusiasts. Alternately called Euro lights or crystal lights, many less-than-reputable companies made a small killing hawking these garish, ill-fitting pieces, and you’d often find them hanging on by a thread from the tail of some half-rusted import with cut springs, no muffler, and an oversized GT-style wing on the trunk. Like some kind of sinister case of VD, the Altezza taillight phenomenon quickly spread, infecting even the domestic scene with its cheap plastic and lookalike chrome inserts. Luckily, the Altezza phenomenon eventually died out, but still elicits a chuckle amongst those who remember it. Which leads me to this – which automotive trend, past or present, do you think is just the worst? Let us know in the comments, and maybe, just maybe, we’ll find something worse than Altezza taillights. 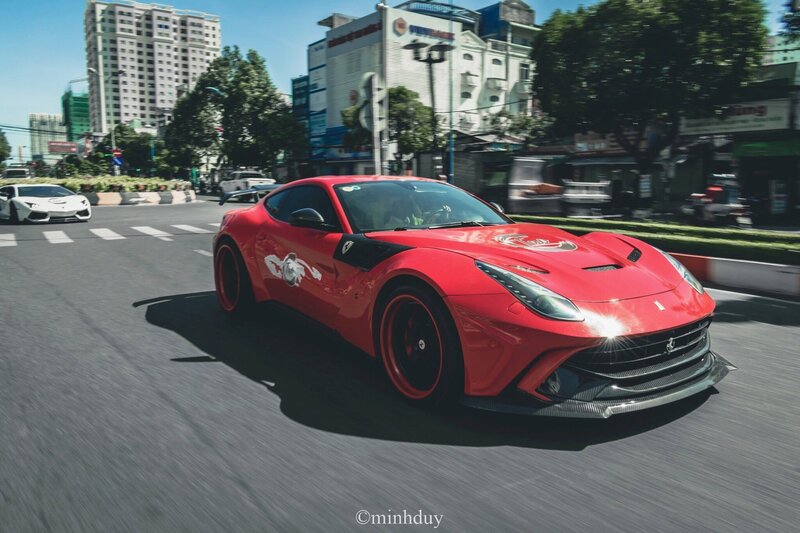 Read more car tuning news. In the 23 years that it’s been around, Smart has become a staple in urban cities, fulfilling its mission of being a purveyor of affordable compact cars. But like most car brands, Smart has a sporty and aggressive alter ego, though one that we rarely get to see. 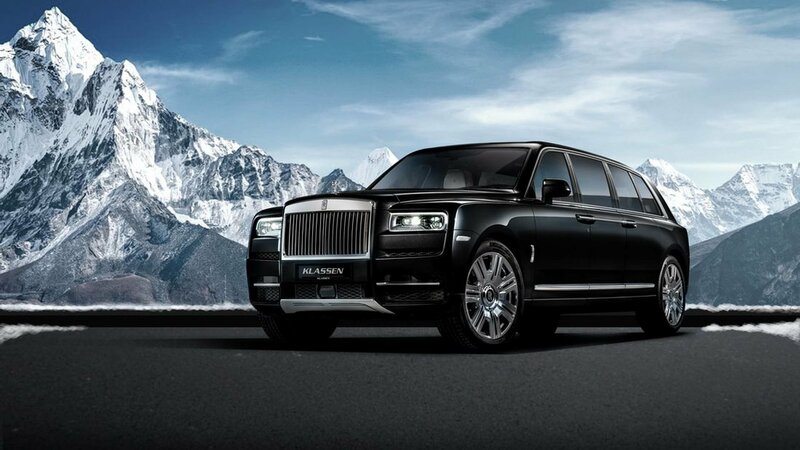 It just so happened that one such example was presented at the 2017 Frankfurt Motor Show by noted tuner Brabus. It’s called the Brabus Ultimate E Concept, and it’s an absolute humdinger. Okay, so I know what you’re thinking. “It’s a Smart ForTwo. ‘Humdinger’ isn’t exactly the kind of word I’d use to describe it.” You’d be right about that, but you’d also be wrong in assuming that the Ultimate E Concept is nothing more than a dressed up ForTwo wearing a Brabus kit. It’s way more than what it appears to be, and we have Brabus and its partner-in-crime in this project, Kreisel Electric, to thank for that. 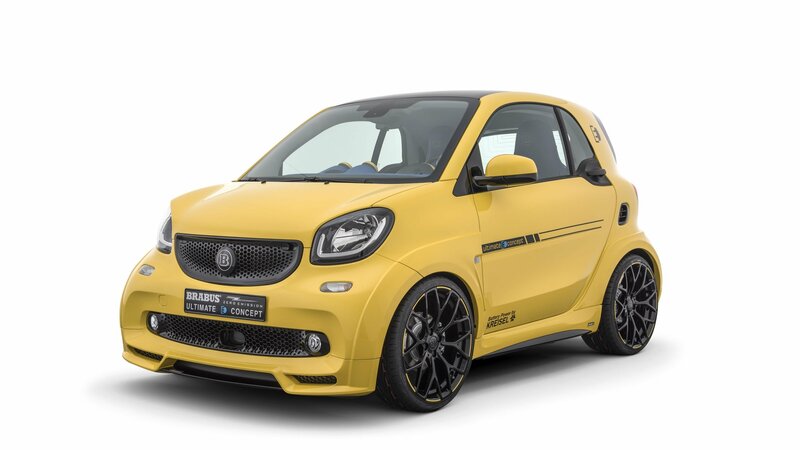 This concept – it really shouldn’t be a concept – represents the pinnacle of what the Smart ForTwo can become if it adopts new technologies and embraces its inner id in the process. Think a 200-horsepower Smart ForTwo is still the stuff of dreams and fantasies? Think again. Smart has come a long way since it started in 1994. I can’t tell for certain if the Brabus Ultimate E Concept is the future, but if it is, then that future just became mighty exciting. Startech may be overshadowed by its parent company, Brabus, in the tuning world, but the tuner has proven itself to be as adept in building kits for a wide range of vehicle brands. One of those brands is Land Rover, and as fate would have it, Startech is presenting its latest program for the Discovery SUV at the 2017 Frankfurt Motor Show. The program has a more style-over-substance feel to it. That’s not necessarily a bad thing, especially for an SUV like the Discovery, which caters to more than just the off-road adventurers of the world. Those who prefer a proper dress-up for their SUVs are the targets here, hence the lack of an engine upgrade that puts more power to the SUV’s 3.0-liter supercharged V-6 engine. It is fitting, too, that with Startech’s kit for the SUV arrived just as the Discovery underwent its biggest stylistic change since 2009. Put all of these elements together and it’s easy to see why Startech wants to be one of the first in the tuning scene to have one in the market. 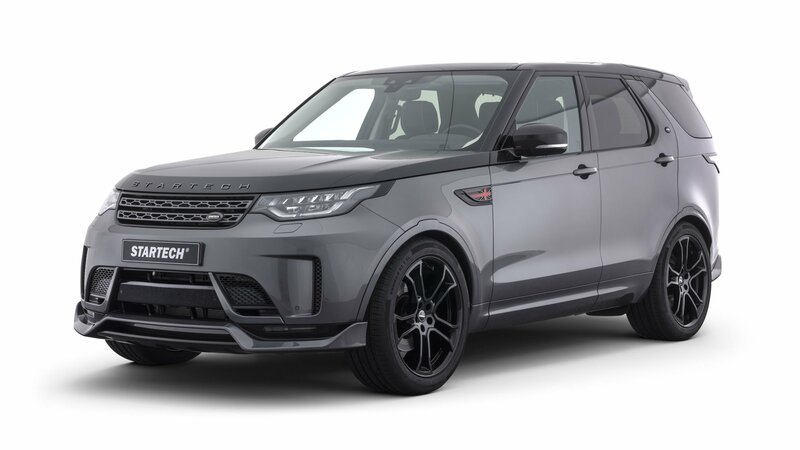 Other tuners like Kahn Design will inevitably have theirs at some point, but for now, the spotlight is squarely on Startech to make a positive impression on owners of the new SUV. Considering its pedigree as a company owned by Brabus, it wouldn’t be hard for Startech to live up to its parent firm’s reputation. 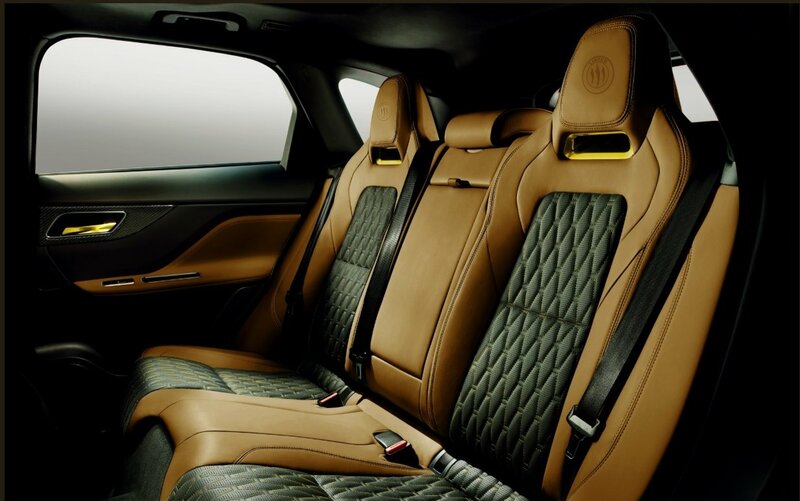 Carbon Fiber Interior Trim – Performance Statement, Or Fake And Uncool? It seems like just about any car out on the road with any semblance of sporting intentions has the option for carbon fiber trim in the interior. Once relegated to the fastest of the fast, carbon fiber is becoming more of a fashion statement with every passing production cycle. You know exactly what I’m talking about. Never mind the plodding 0-to-60 mph time and yawn-inspiring handling – if it’s supposed to be sporty, then let’s all be reminded with acres of faux fiber in the cabin. Sometimes it works, but by and large, the trend is leaning towards the ridiculous at this point. Making matters worse is the carbon fiber tape you can buy from the aftermarket to slather across your dash and center console. Because as we all know, the fastest performance machines on the planet all have bubbling vinyl in the cockpit. You’ll have to pardon the attitude here, it’s just that this is one trend I’ll be happy to see finally put to bed. Thing is, like I stated before, sometimes it works – Koenigsegg, for example, seems to have a pretty good handle on it, as does Pagani. But I guess that’s the problem. 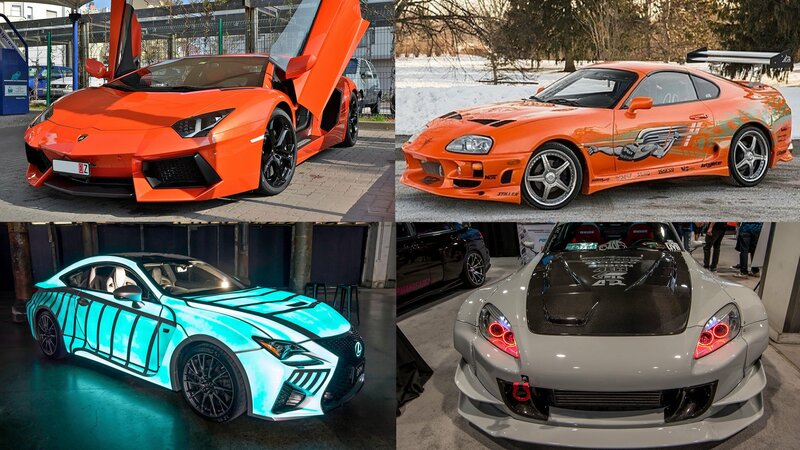 As long as those dream cars are rocking carbon interiors, the rest of us will continue to strive to make believe our four-cylinder commuters are fire-breathing 200-mph monsters. Which begs the question – is fake carbon fiber trim acceptable, or trash? Let us know your thoughts in the comments. Mountune may not have the most famous name in the aftermarket tuning circle, but don’t let its relative anonymity distract you from what the tuner is fully capable of. We already saw what happens when it gets its hands on the Ford Focus RS. 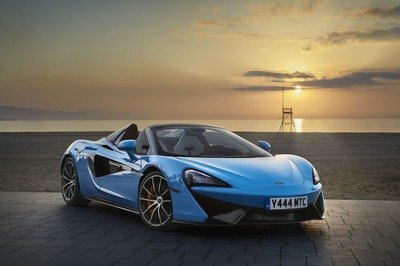 It did so last year with Ford Performance and managed to squeeze out 375 horsepower and 376 pound-feet of torque. 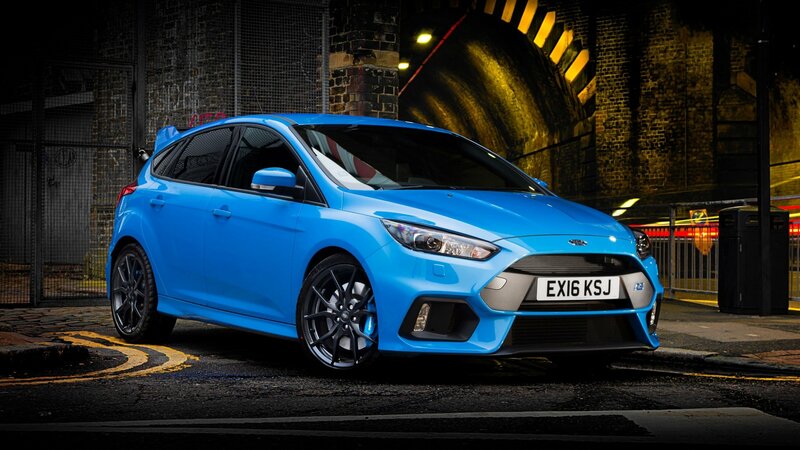 Now it’s back with a bigger and better upgrade for the hot hatch as calls for a 400-horsepower Ford Focus RS have finally been answered. The scope of Mountune’s new modifications for the Focus RS covers a lot of ground as far as mechanical upgrades are concerned. There’s very little in the way of aesthetic enhancements, so customers are advised to find them elsewhere, be it from Ford or another aftermarket company. Nevertheless, the program’s lack of versatility shouldn’t be held against it, not with the promise of incredible power and performance. Take this kit from Mountune however you want to, but rest assured, this is as “no-nonsense” as any tuning program we’ve come across for the Ford Focus RS. It was developed for one purpose – power for ages – and the resulting numbers certainly speak for themselves.